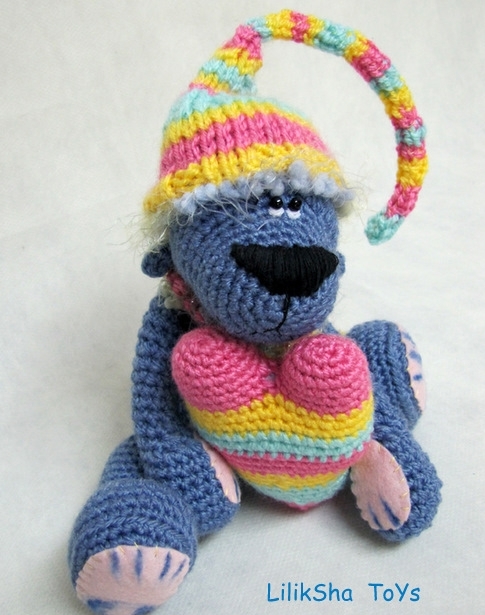 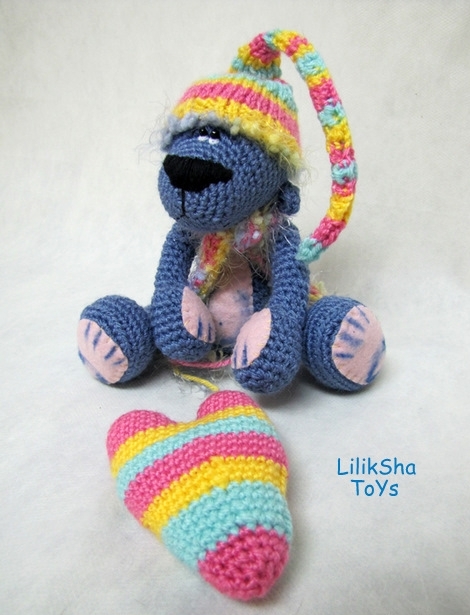 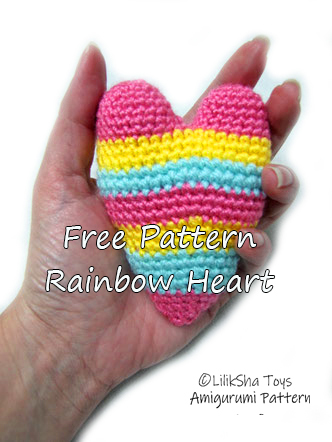 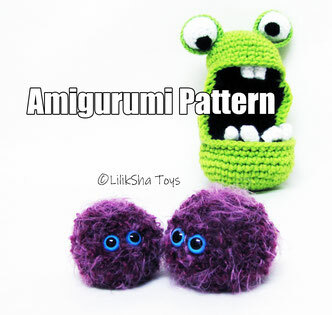 Rainbow Heart - Free Amigurumi Pattern - Сайт crochettoy! 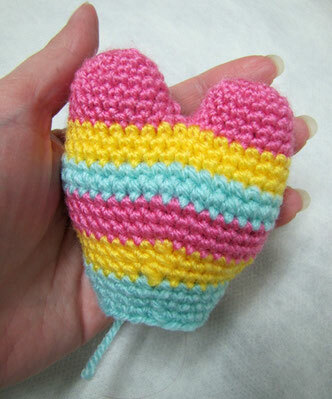 ch 4, join to form a ring (or Magic Ring) 6 sc into the ring. 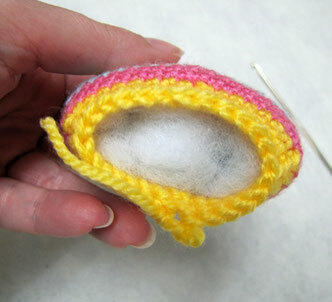 Fasten off and break the yarn. 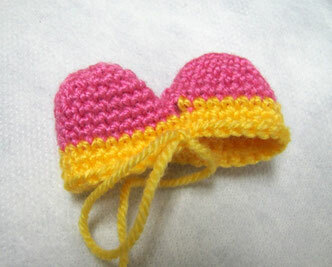 Make the second part as given for the first part of the heart, but do not break the yarn. 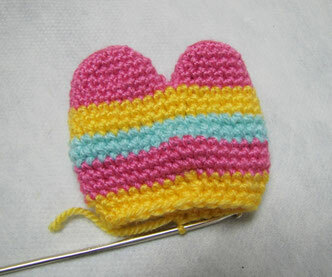 Join these two parts together (see the photo). 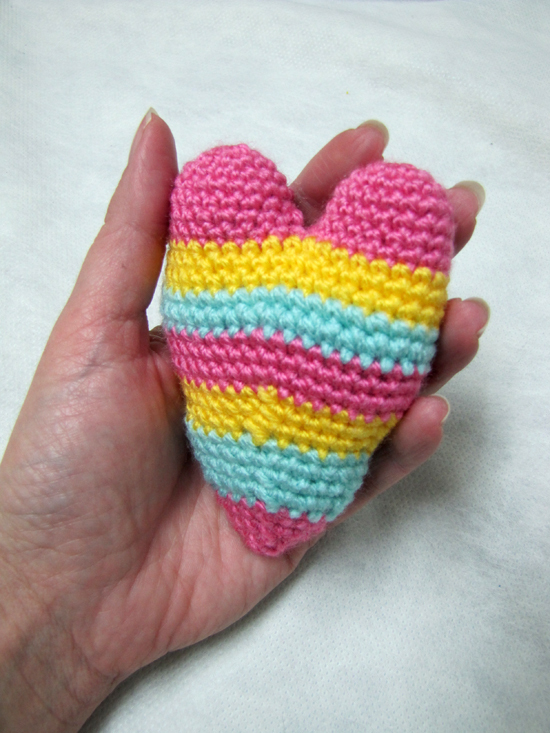 Continue working with the yarn coming from the second part of the heart, insert the hook into a stitch of the first part and make a single crochet (sc) joining the both parts together. 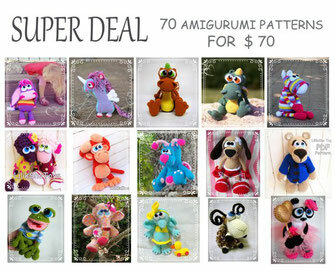 (for more details see the photo below). 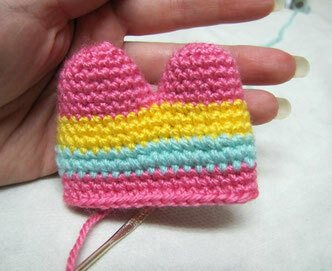 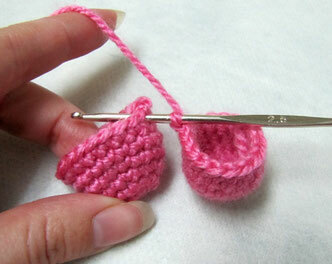 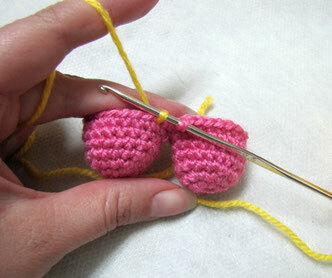 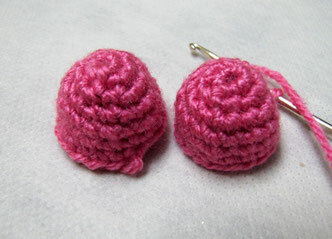 Continue with colored yarn and change the color every three rows!